Hi friends! 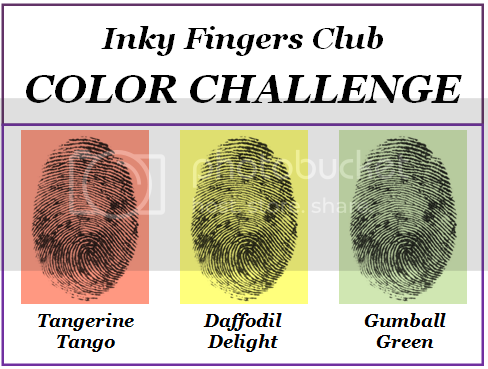 Today is the first day of the Color Challenge for the Inky Fingers! I'm so excited to be a Designer and to share in the challenges! I hope you will participate as well. Here is the first challenge! Go to Inky Fingers to find out how to participate and play along! All you need to do to participate is to use the three color's listed above, choose any stamp that you would like. If you need help getting started with your design you can see what the other designers have come up with, but first I will share my design with you! My card uses the colors of the challenge (I would have never dreamed to use these colors together)...but I was pleased how they came together. 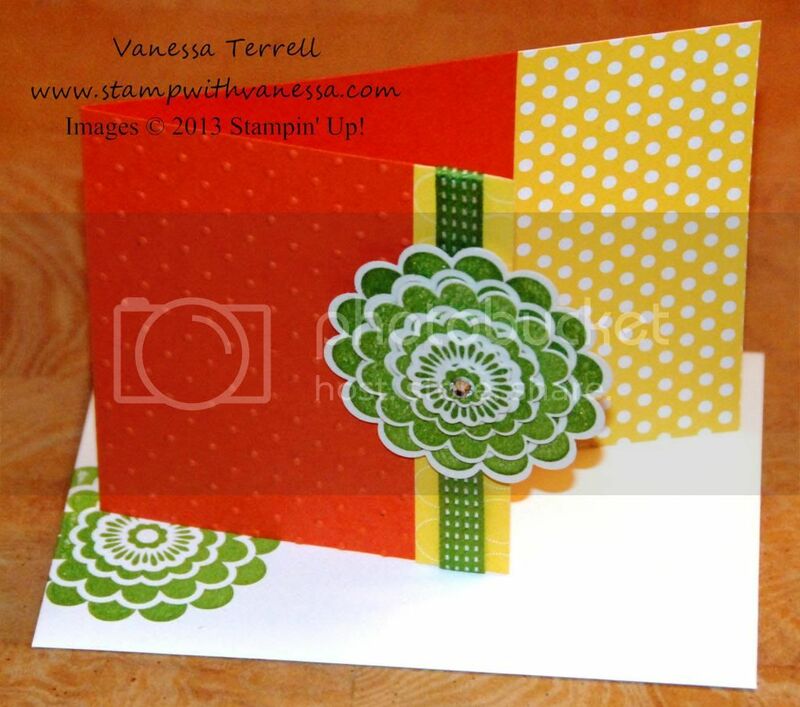 I used the Five-Way Flower stamp with it and I added some Designer Series Paper, Ribbon and some Bling to come up with this. Be sure and leave me a comment letting me know what you think! 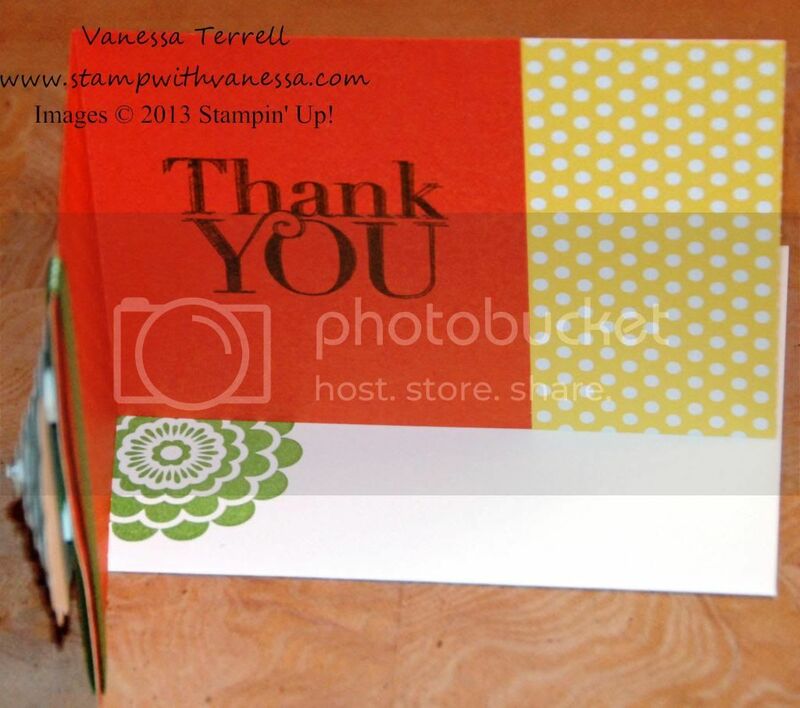 Labels: Color Challenge, Inky Fingers Club, Stampin' Up!